Hi everybody! Hope you are having a wonderful day in whatever you are doing. 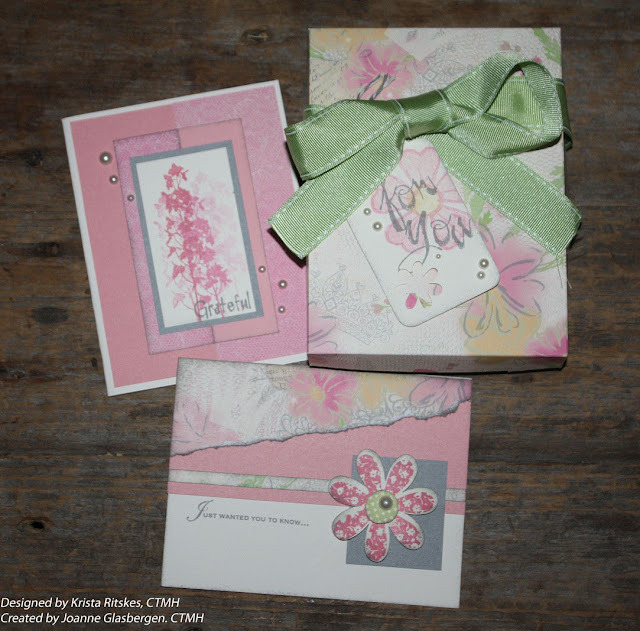 Here is a beautiful card workshop that Krista Ritskes designed using layouts from the CTMH Wishes book. In total there are 8 different cards and a box to hold them in. She did a beautiful job! The following pictures are the cards that I created at the workshop that she had. Like I said in my newsletter I'm not a fan of pink but I fell in luv! Scroll down and take a look. If you are interested in creating something like this yourself (which is easier than it looks), I'd be happy to show you how. You can have your own workshop by inviting your friends and letting me know how many are coming. We'll figure out a date and time and I'll be there with all the supplies to make this workshop or you can join a workshop that I'm having. If you have your own workshop and there are sales, you never know, you can walk away with a beautiful gift set and free product! Post a comment below or email me at jagsscrapin@bell.net and I'll get things started on my end. The above card "Just wanted you to know..." is one of my favs. I really luv "Sending you Birthday Wishes..." one as well! I think that I have to continue to post a picture or two which are my favs as well. 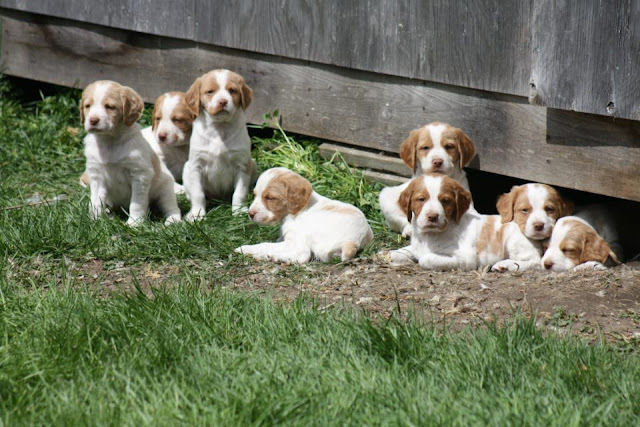 Here is a Brittney Spaniel puppy pic. They are 6 weeks old and just adorable! This is all I've got for now. 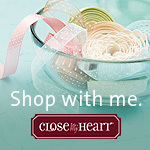 Keep checking back for more cards, scrapbook layouts and paper crafts. Enjoy your day!!! Happy crafting!! !